When you walk in the front door of the Old T&P Depot you won't find the TRHoF diplay cases in their usual spot! They have been moved to a couple of rooms on your left!! Until their final move after the renovation of the "Baggage Area"Drop by to get a closer look at the artifacts and bios on the first 54 members of the Texas Rodeo Hall of Fame!!! Four exciting evenings filled with calf roping, bronc riding, barrel racing, bull riding, and local events. Enjoy a variety of vendors. Rodeo begins each night, Wednesday through Saturday, at 7:00PM and ends when the last bull is rode! Admission Fee: Varies on seating. The Texas Rodeo Hall of Fame Committee is honored to exhibit a hand picked selection of bits and spurs manufactured by The Original Crockett Bit and Spur Company. The founder of the company, Oscar Crockett, was born in Pecos, Texas in 1887 during the 4th year of the West of the Pecos Rodeo. Special thanks goes to Mr. Standley S. Skinner, for donating this selection in honor of his grandfather, Oscar Crockett. 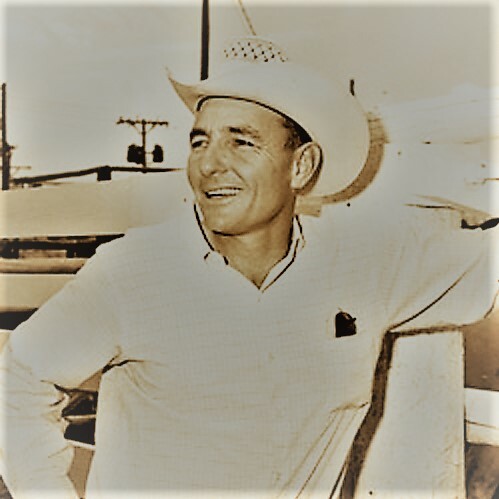 Honorees ~ Tyler Mangus (Team Roper) of Llano, Texas; Ronny Sewalt (Calf Roper) of Comstock, Texas (posthumously); Dude Smith (Bronc & Bull Rider) of Burkburnett, Texas. $10/plate BBQ ~ After the ceremony, across the street, under the pavilion on the grounds of the West of the Pecos Museum. For more information or to contact the Texas Rodeo Hall of Fame at: texasrodeohalloffame@yahoo.com or PO Box 1883, Pecos, TX 79772. 9:00AM ~ Set in the courtyard of the West of the Pecos Museum, Pecos' Old Timer's enjoy refreshments and listen to music before the West of the Pecos Rodeo Parade. For more information call 432-445-5076. Horse riders and rodeo participants along with other organizations from around West Texas come together to show off their best. A big BBQ takes place immediately after The West of Pecos Rodeo Parade. Location: Reeves County Sheriff's Posse Barn. For more information call 432-445-2406.